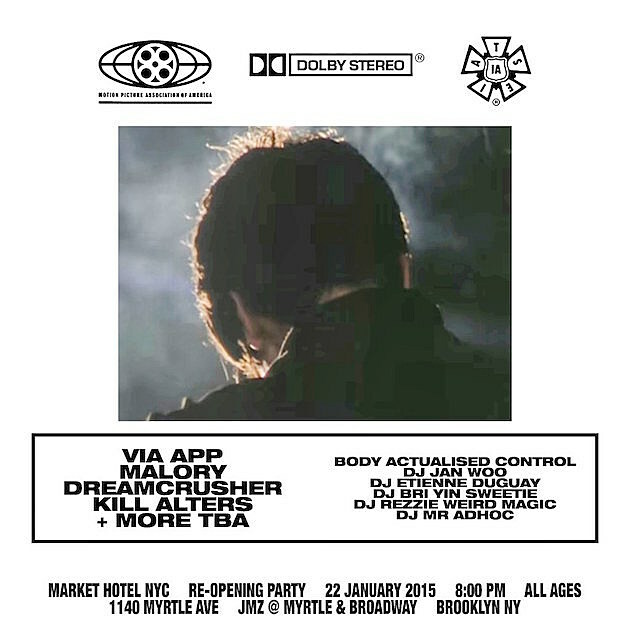 Market Hotel’s long-awaited reopening happens this weekend with a two-night celebration: Friday (1/22) with VIA APP, Kill Alters, Dreamcrusher, and Malory; and Saturday (1/23) with Guerilla Toss, PC Worship, Pill and just-announced “special guest” headliners A Place to Bury Strangers. Both nights are $10 at the door. Be prepared to trudge through the snow, though. 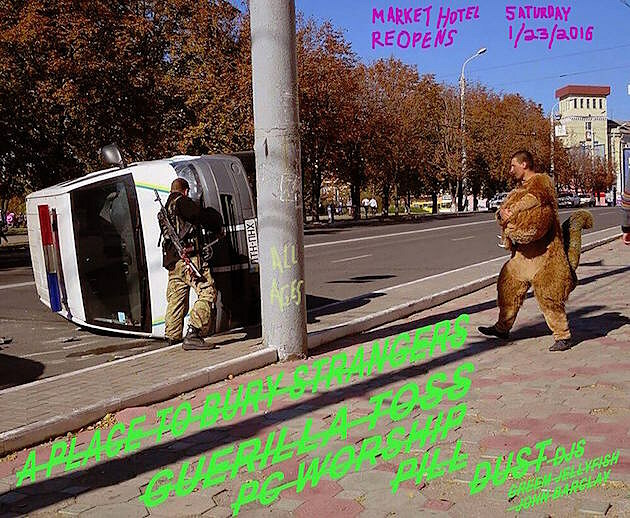 Flyers for both reopening parties are below. In other news APTBS bassist Dion Lunadon (who also plays in Flowers of Evil and spent time in New Zealand band D4) is set to release his debut single as a solo artist. ‘Com/Broke’ will be released as a 7″ single on February 19 via Infinity Cat. 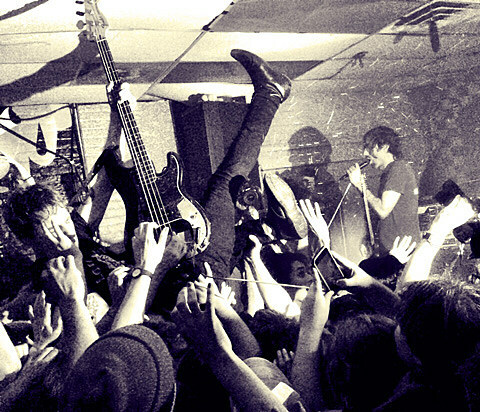 You can check out the A-side which is a fierce punk burner — listen below. 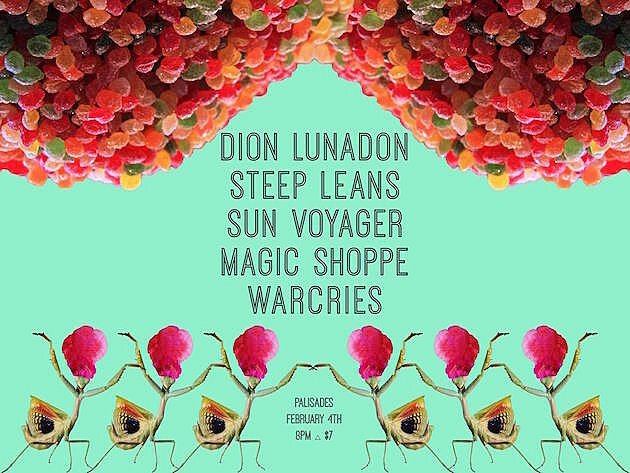 Dion has a few solo shows coming up in NYC: January 26 at Berlin with Stuyedeyed; then Palisades on February 4 with Steep Leans, Sun Voyager, Magic Shoppe, and Warcries (tickets); and then he’ll open for Ty Segall and The Men at Webster Hall on February 28 (tickets). Flyer for the Palisades show is below.